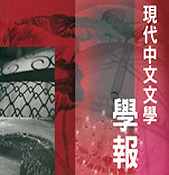 Journal of Modern Literature in Chinese (JMLC) was founded in 1997 and published twice a year. It has been edited by the Centre for Humanities Research (formally the Centre for Literature and Translation), Lingnan University, Hong Kong. The original aim of JMLC is to place Chinese and Western scholarship “back-to-back” and the journal has until now published articles in both English and Chinese. However, in view of the increasingly globalized nature of scholarship and in order to further strengthen the mission of JMLC to promote exchange between and fusion of Chinese and Western scholarship, it has been decided to turn the journal into an all-English publication. We believe that “face-to-face” dialogue between scholars is not only preferable but also necessary in the present globalizing context.